A total of 76 food poisoning cases were reported. NEA, the Health Ministry and AVA are conducting joint investigations. SINGAPORE: Goodwood Park Hotel's bakery, known for its popular durian puffs, has had its licence suspended following a spate of food poisoning cases between Mar 15 and Apr 16, the National Environment Agency (NEA), Ministry of Health (MOH), and Agri-Food and Veterinary Authority of Singapore (AVA) announced in a joint press release. NEA, MOH and AVA said as of Apr 21, a total of 76 food poisoning cases were reported. NEA has ordered Goodwood Park Hotel to cease the production, sale and distribution of all pastries that are prepared by their bakery and to dispose of all pastries prepared there, with effect from Apr 22 until further notice. NEA has also told the hotel to clean and sanitise the bakery, including equipment, utensils, work surfaces and toilets, and review and rectify the lapses in food preparation processes identified during the joint inspections. When the first incident was reported on Mar 15, MOH said it immediately initiated epidemiological investigations and NEA inspected the bakery’s premises the next day. The Health Ministry stepped up investigations and inspected the bakery’s premises of Goodwood Park Hotel on Apr 4 after the second incident was reported. Subsequently on Apr 13, the three agencies conducted joint investigations at Goodwood Park Hotel when more incidents linked to their durian pastries were reported. MOH’s investigations found that the consumption of Goodwood Park Hotel durian pastries was the only common epidemiological link. The agencies said some lapses in food handling were found at Goodwood Park Hotel’s durian pastry kitchen of the bakery but the premises were found to be clean with proper housekeeping and refuse management. No signs of pest activity and hygiene lapses were detected. AVA said it has conducted upstream checks at the suppliers of food ingredients supplied to Goodwood Park Hotel, including durian pulp. So far, no food safety lapses have been found at the suppliers’ establishments. There were also no other complaints of food poisoning from other establishments that used the durian pulp from the same supplier. MOH has collected stool samples from the affected cases and food handlers, which have been sent for screening. Only those who are certified medically fit will be allowed to resume work after medical clearance by MOH, when the suspension is lifted. All food handlers working in the bakery are also required to re-attend and pass the Basic Food Hygiene Course, before they can resume work as food handlers. MOH and NEA are monitoring the situation closely, they said. Based on joint investigation findings, NEA will take the necessary enforcement actions against the licensee if hygiene infringements are found, it said. Licensed food operators have the responsibility to put in place systems and processes to ensure high hygiene standards are observed by their food handlers at all times. In a statement on Facebook, Goodwood Park assured the public and its guests that it treats all matters related to food safety standards "very seriously". "We are addressing the food handling lapses in the durian pastry kitchen highlighted by NEA and aim to rectify them soonest possible," the hotel management said. Goodwood Park said the hotel is cooperating closely with the Ministry of Health and NEA on necessary follow-up actions. "Goodwood Park Hotel has had a good reputation for the past 33 years selling durian pastries, and we understand this suspension may cause some distress to our guests. We hope that they will give us a chance to restore their confidence in our usual high standards of quality of our pastries." Responding to queries from Channel NewsAsia, a spokesperson for the hotel said the entire pastry production team will be sent for a stool test on Saturday. The team will also be re-attending a basic food hygiene course on Monday. All pastries and ingredients used will be discarded, Goodwood Park stated. 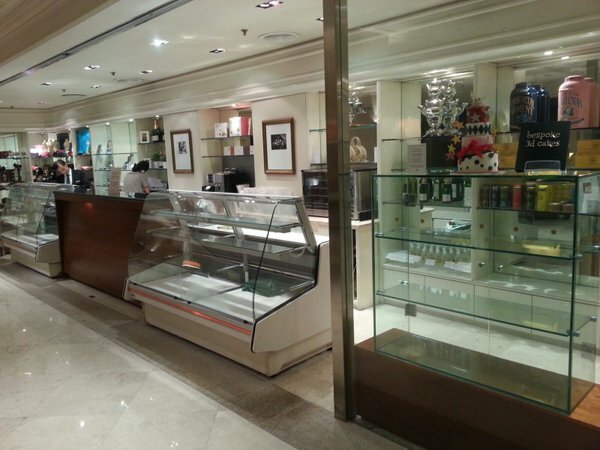 "The hotel conducted a thorough cleaning and sanitising of the entire pastry kitchen, utensils and equipment today, and has also identified a contractor specialising in sanitising and conducting of a bio-decontamination for the pastry kitchen," said a spokesperson. "The other kitchens were not affected." Goodwood Park said it is in the midst of reaching out to guests hit by food poisoning. It opened a pop-up stall at the Lot One mall at Chua Chu Kang on Monday, but closed it on Friday. "Guests who purchased our durian pastries at Lot One from Apr 18 to 21 are advised to throw them away and contact the hotel for their refunds," a spokesperson said.